The Toddler 1 students have been experimenting with various extensions of popular Sensorial materials. 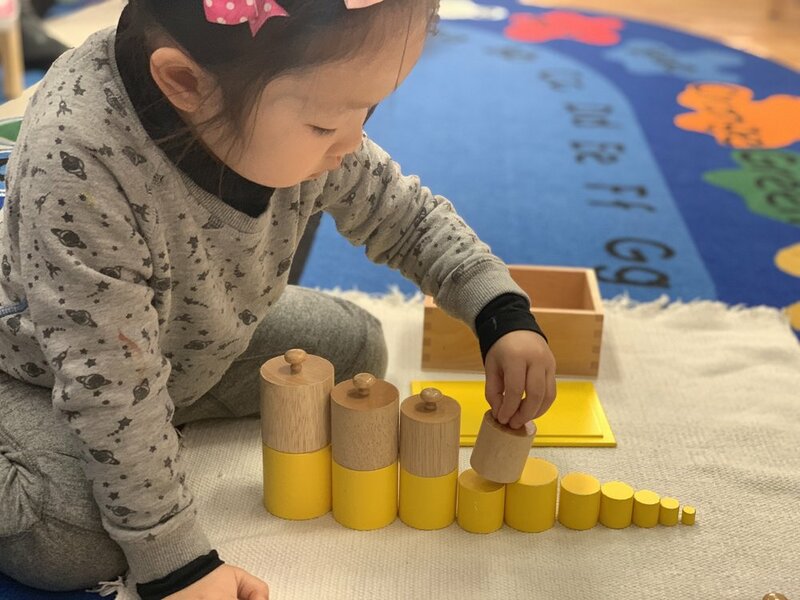 Work such as the Knobbed Cylinders, Knobless Cylinders, Brown Stair and Pink Tower encourages students to explore dimensional concepts like big and small, wide and narrow or short and tall. In addition to grading the objects by a single dimension (such as smallest to largest), they can now combine the materials to notice even more patterns in the way the objects relate to each other. It was a special day in Toddler 1 when a class family joined us to share a presentation about Lunar New Year with the students. They read a story about the holiday, spoke about some cultural traditions and invited the children to make a craft involving the Chinese zodiac animals. To continue the celebration, a new work was added to the Toddler 2 Language shelves. This instantly popular material calls for the children to match the twelve animals to beautiful, abstract illustrations. 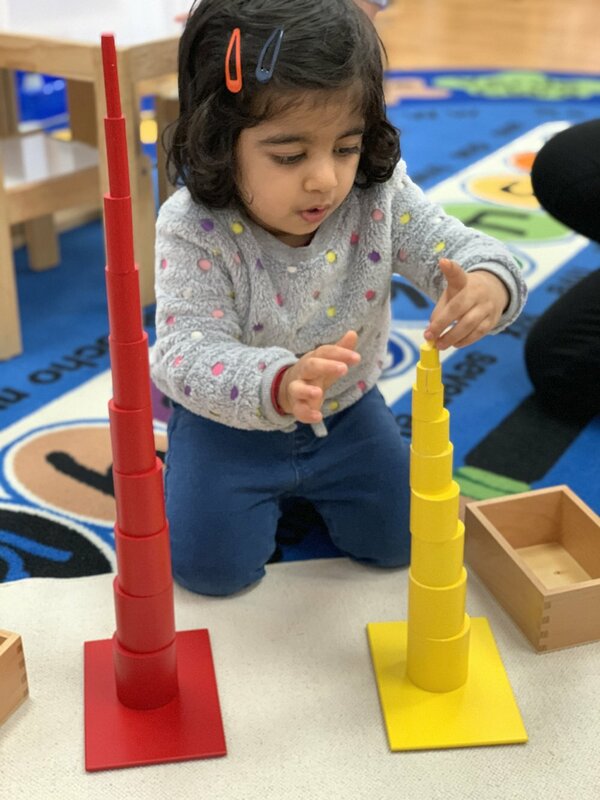 While many of the Toddlers are used to matching animals with picture cards at this point in the year, this work adds a new challenge as the pictures are more abstract. The skill of being able to match items with less straight-forward representations is a new developmental step for most children this age. The students, of course, eagerly took on the challenge while exploring animals such as the pig, ox, ram and dragon.